So like a whole bunch of people out there, my hamstrings and hips (hip flexors, to be exact) are too tight. I came to this revelation the other day when I was in my private. I felt like my hips were limited in the direction I needed them to face and I didn’t like that. I didn’t like that I really had to try to make it work. I’ve always been fairly flexible, but lately I have neglected to stretch often. I should have know something was up when I could hear my kneecap make a little “click” noise every time I went up or down stairs. Yeah, that’s not normal. Naturally, I turned to Pinterest to research (and look up interior design ideas). There are 5 components of physical fitness. 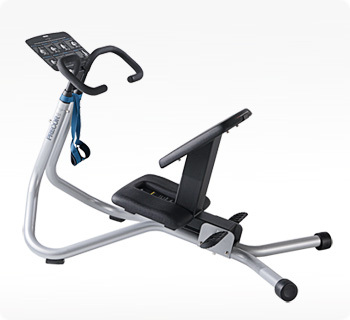 Cardiovascular endurance, muscular endurance, muscular strength, body composition and flexibility. Just like how I listed it, flexibility always seems to come last. You go to the gym, people are lifting weights, spend forever on those blasted cardio machines and take selfies in the mirror. From my personal observations, I feel that very few people seem to take the time to stretch. All 5 components of physical fitness are definitely applicable when it comes to dancing. I don’t even have to go into detail why. You see dancers, and they need everything there to perform well. Some benefits of stretching include improving athletic performance in some activities, decreasing risk of injury by allowing your joints to utilize their full range of motion and increase blood flow to muscles. Unfortunately, there’s not much research done on the topic because I guess not that many people care about it. 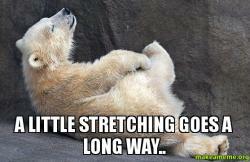 I care about you, stretching! My personal benefits will be amazing. I will have a greater range of motion in my dancing (and it won’t hurt to get to the position I need to be in), maybe my knee will stop with this clicking nose and my workouts at the gym won’t be completely pointless lol. I actually made the promise to my body yesterday to take the time and stretch after each workout and stretch a bit before falling asleep. I will include links at the end of this post to articles I found helpful. Have you ever seen this thing at your gym? I saw this for the first time a few years ago. It wasn’t near the machines, usually near all the floormats and ab stuff. I didn’t use it until I saw someone else use it. 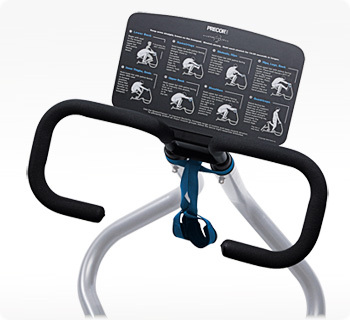 This, my friends, is the Precor Stretch Trainer. It is the best thing to happen to your life. The chart on it tells you exactly what to do, what muscles are stretched and for how long to hold the stretch. I use this for at least 5 minutes after each workout. It is amazing, especially after working your muscles so hard! Like I said, I turned to Pinterest for inspiration in this section. Stretches can be done anywhere, but I am lazy at night and stretching in bed is pretty comfortable. The following articles include stretches I like to do before bed (so funny, I saw that like I’ve been doing it a long time, but tonight is really just the second night in a row lol). Stretches for runners really focus on the hamstrings and opening the hips, so I take most of my stretches from those articles. I’ll report progress later on how my hips and hammies are doing. Once I get those babies squared away, I will start to work on doing splits!